Self-professed genius and millionaire businessman Henry Silverman has finally come to a divorce settlement with his wife, Nancy, after a bruising four-year battle — and days later swiftly married his yoga instructor. 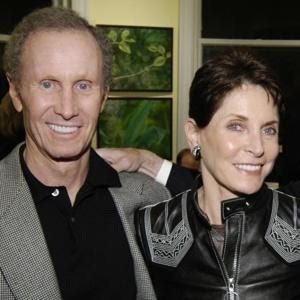 Silverman, 71, who famously tried to introduce “scientific” evidence in court to prove his $450 million fortune was due to his “innate genius” and that his spouse of 30 years had no part in his financial success, finally came to an “amicable” settlement with Nancy last week, sources exclusively confirmed to Page Six. And then, he quickly wed yoga instructor Karen Hader, 30 years his junior, on Monday at their mansion on Central Park West. Silverman, the founder of Cendant Corp., now a director of Apollo Global Management and a vice chairman at Guggenheim Partners, left his wife for Hader, who was his physical therapist after he had hip surgery in 2008. They were engaged shortly afterward, have a 2-year-old son and they share the $19.3 million Manhattan mansion and a $14 million spread in Sagaponack. But the Silvermans have been deadlocked in divorce proceedings since 2008, with sources saying Nancy had sought up to $300 million, their Upper East Side apartment and their house on Meadow Lane in Southampton. It is believed Nancy received more than $150 million in the confidential settlement, plus the properties. The judge had rejected Silverman’s “genius” ploy and said his wife contributed by raising their daughter, Casey, and managing their domestic and social lives. Another source told us, “Nancy is very pleased, she wishes Henry all the best and she, too, has found happiness. After a four-year legal battle, she is happy to start a new chapter in her life.” A rep for Henry declined to comment and Nancy’s lawyer didn’t get back to us.